Knows how to engage in conversations of various topics with some support. We engage in social community activities such as raising money for their field trip. Activities could be photography work, car wash, bake sale etc., based on what the students in the group choose as their theme. We encourage the students to apply Reflective Reasoning, (RR) in “sticky situations.” This means learning to understand the intended meaning, being open-minded, recognizing the problem and applying different social thinking skills to solve the problem. Conversations! Conversational strategy is another major concept taught in this class. We use strategies to encourage participants to use language to initiate conversations, resolve conflicts, and understand teasing behaviors in peer relationships. We encourage the participants to use language to alter their peer’s position about a problem. We work on different levels of friendship, teasing behaviors! This group is for children ranging in age from 15+ to 18 years-old needing help with social skills and language development. We group kids according to age and skills level. 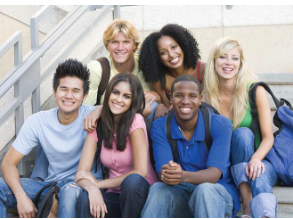 The groups are ratio of 10 teens, 3-4 typical and 6 teens kids needing social skills support (Groups cannot exceed 10 Teens). We offer each group in two sessions, lessons will change if the same campers enroll in both sessions.